The Hulk is terrifying. He’s Mr. Hyde by way of the atomic bomb: When Bruce Banner transforms into his raging green alter ego, he unleashes a monster that can level a town in minutes. Writer Al Ewing embraces the horror aspects of this character in the pages of The Immortal Hulk, kicking off the new series with three self-contained, single-issue stories exploring different facets of Bruce Banner and the beast within him that cannot die. That immortality gives Ewing’s Hulk a supernatural quality, reinforced by the intuition and magical thinking that compel Hulk to hone in on local problems and solve them with his own devastating brand of superhero action. Artist Joe Bennett brings Ewing’s scripts to the page with stark, frightening clarity, and Ruy José’s inks and Paul Mounts’ coloring amplify the detail in the linework to establish a sense of grounded reality, which is gradually upended as the plot continues and the Hulk finds his way out. Last week’s issue of The Immortal Hulk featured four exceptional artists with their own distinct styles joining Bennett for a Rashomon-style breakdown of a hostage situation ended by the Hulk. Ewing altered the tone of his script to match the strengths of his various collaborators, and each issue has found a compelling new approach to delve deeper into Banner, Hulk, and their impact on the people around them. 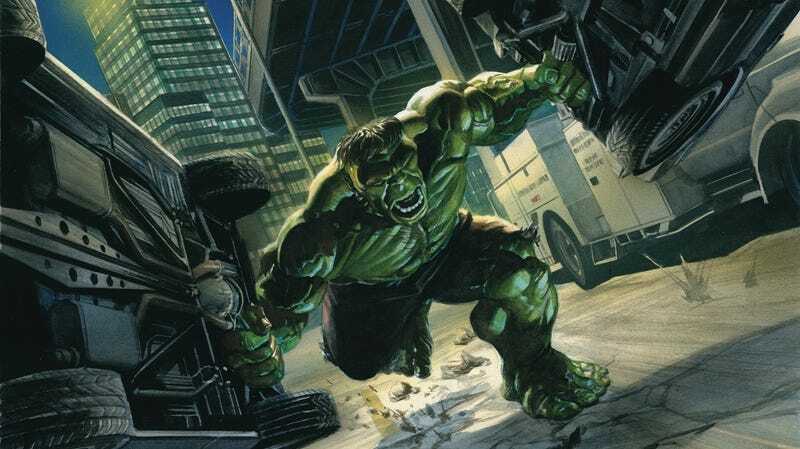 The series explores how Banner’s gamma research has had far-reaching consequences, and Hulk is attracted to other gamma-powered individuals. Reporter Jackie McGee is trying to track Banner down, so it’s a good thing that she’s teamed up with his college roommate, Walter Langkowski, who was transformed by gamma radiation to become Sasquatch, the furry orange member of Alpha Flight. This exclusive preview of next week’s The Immortal Hulk breaks down Bruce and Walter’s past, offering glimpses into Banner’s turbulent psyche before the Hulk. In an especially clever touch, Ewing turns Hulk’s signature purple pants into an expression of Banner’s mania, embodying how this series takes ideas from the past and gives them a deeper connection to the central tension between Banner and Hulk. Can&apos;t Wait For Phantasy Star Online 2? Here&apos;s How to Play the Japanese Version.